The further development of the Seiko Kinetic bore numerous fruits. For example, the Seiko Kinetic Direct Drive can be supplied with energy by turning the crown in addition to the arm movement of the wearer. Since the display shows the amount of energy supplied and how long the watch will continue to run, there is a direct interaction between the watch and the wearer. The Seiko Kinetic Perpetual has a mechanical calendar that runs precisely until 2100 and is controlled by a photo sensor. 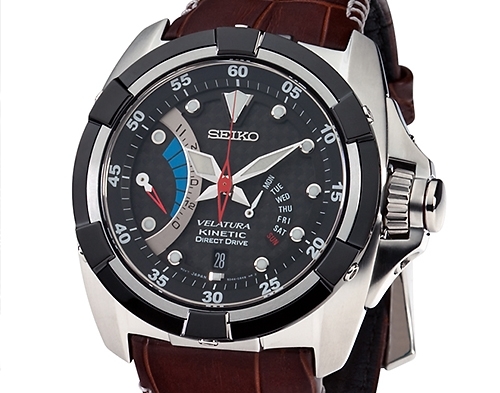 The Seiko Kinetic GMT is the third watch in the group and is ideally suited for travelling watch wearers, as the hour hand can be easily adjusted without affecting the accuracy of the movement. In addition to being driven by kinetic energy, these watches are united by their elegant appearance and discreet colour selection. Would you like to buy one of our fine watches and enjoy the art of watchmaking? 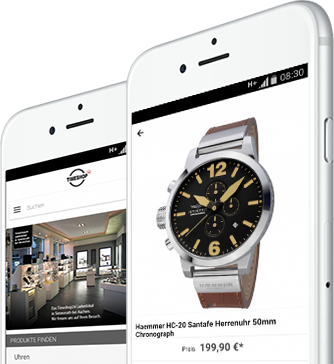 Order at Timeshop24 and have your new timepiece sent to you free of charge!